If the previous free charts or my Twitter profile weren’t enough of a clue, my gaming heart loves it some Nintendo. Super Mario, Legend of Zelda, Donkey Kong…you know, the usual suspects. 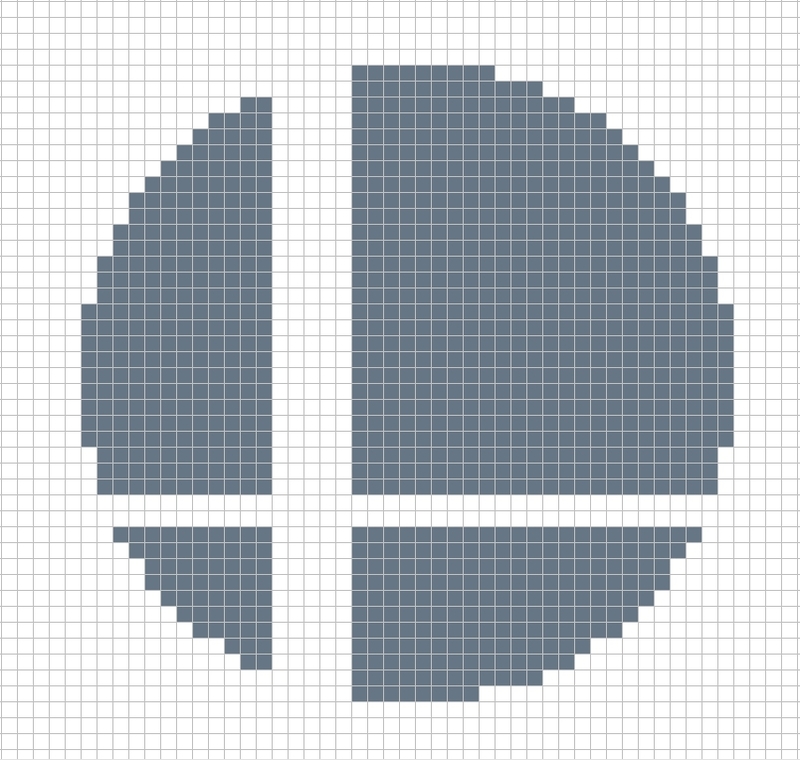 So, you know who is excited about Smash Bros, right? This chick, right here. I’m being the oh-so-patient gamer and waiting for Smash Bros to come out on the WiiU, so I have to do something with my time, right? Though the pattern is easy and you’ll only need one skein of thread for this chart, I will warn you, it will take a solid chunk of your time. I clocked in about eight hours on this sucker because, um, all the squares. You *could* make the design smaller, but why would you? 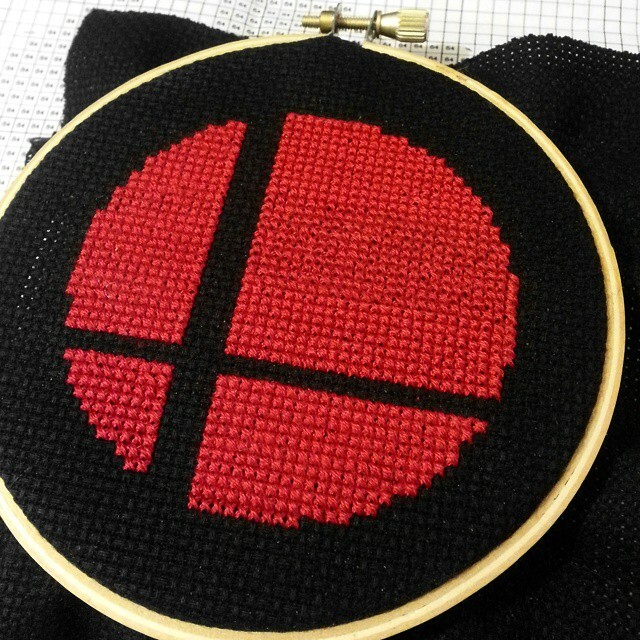 Show off that Smash symbol with pride. I obviously went with the red/black color scheme, but really, you can pick whatever color combo you want. For this, I used three strands of thread (instead of my usual two) because I wanted it to look all nice and full — no black peeking through the red. Previous PostCan You Digg It?Next PostOh Yo-Shi Didn’t!